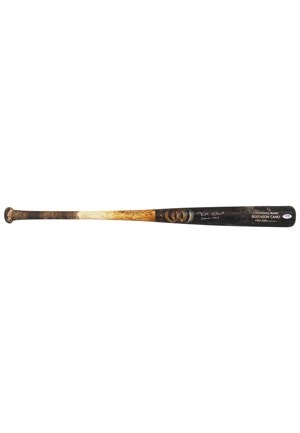 Manufacturer: Axis Model Number: Customized Model DHL2 Labeling Period: 2011 Length: 34 inches Weight: 32.3 ounces Wood: Ash Finish: Black/Natural. 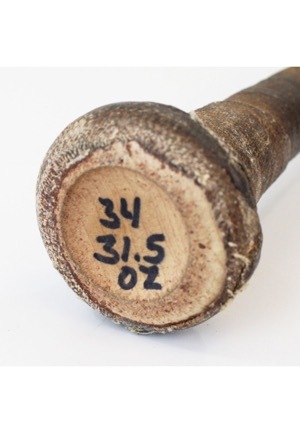 The bat shows outstanding game use with a handle crack. The bat has been graded by PSA/DNA a GU 9.5. 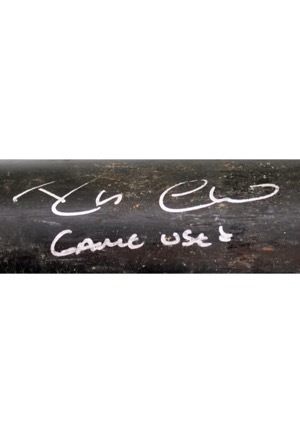 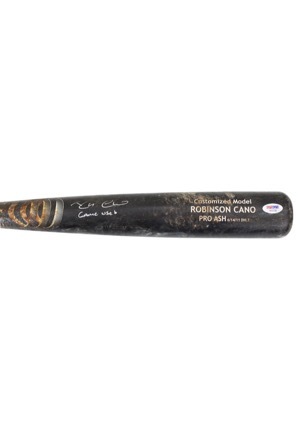 Cano signed on the barrel of the bat with the added inscription “Game Used” and in our opinion the signature rates an 8. 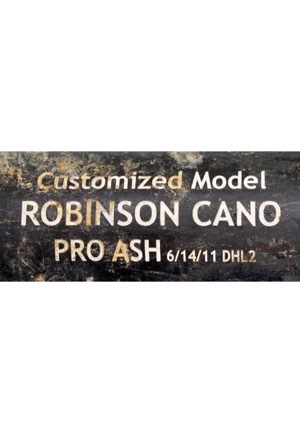 Accompanied by a LOA from JSA and a PSA/DNA LOA.